Do you feel frustrated watching your website visitors leave without any way to bring them back again? So did the owners of FitSmallBusiness.com! In this case study, we’ll share how they went from capturing less than 10 leads a day to over 200 using OptinMonster. Marc Prosser and David Waring launched FitSmallBusiness to help small businesses learn to be successful in every area of their business. From financing to managing employees to finding customers and building relationships, FitSmallBusiness is a one-stop resource. At the site’s core are in-depth how-to-guides and product/service reviews. Even with so much traffic, FitSmallBusiness was only getting about 10 subscribers a day. Their primary goal was to plug this hole. They knew if they could capture the email addresses of those readers, they could invite them to visit the site again and again. A secondary goal was to ensure that readers on their highest revenue pages were given every opportunity to complete a call to action before leaving the page. 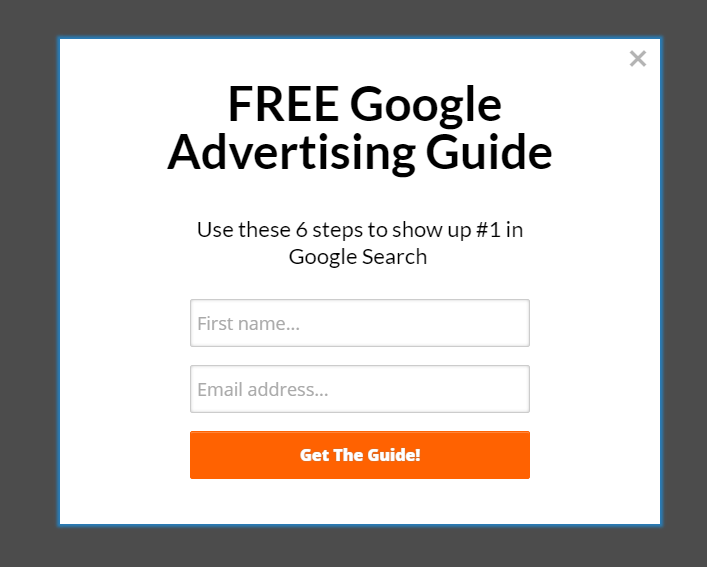 In many cases, this call-to-action was not actually a subscription form, but rather a button to click an affiliate link which you can also do using OptinMonster. When FitSmallBusiness began using OptinMonster, they were using MailChimp as their email marketing platform. MailChimp is a popular choice for businesses when they’re first starting out. That’s why OptinMonster has a native built-in integration that connect your OptinMonster forms to MailChimp. FitSmallBusiness eventually switched to Active Campaign for its more robust retargeting features. Since we also offer a native integration with Active Campaign, this wasn’t a problem at all. OptinMonster integrates with all the leading email marketing services, and you can easily switch between them from our campaign builder. Select your email marketing provider from the Integrations tab. Prior to OptinMonster, FitSmallBusiness collected about 10 emails a day. All of those subscribers joined from a simple email capture form in the website’s sidebar. With no additional increase in traffic, they’re now getting close to 200 emails a day using OptinMonster popups. Let’s learn how they did it! To get these tremendous results, David created a lightbox optin with our pre-designed template called Simple. It was triggered using our exit-intent technology which tracks user’s mouse behavior and show them the optin at the precise moment they are about to leave. They chose to use OptinMonster’s most simply designed templates, ensuring that the design of the optin did not get in the way of the offer presented. David also wanted the offers presented to his readers to be as targeted to their needs as possible. When viewing an article about Google Analytics, the offer is related to Google Analytics. When viewing an article about Search Engine Optimization, the offer is related to SEO. OptinMonster’s Display Rules make it easy to target your offers to the content on your site. Targeting an entire category of articles is as simple as adding the slug of the category to the display rules. David went on to create optins specific to each major content area on their site. 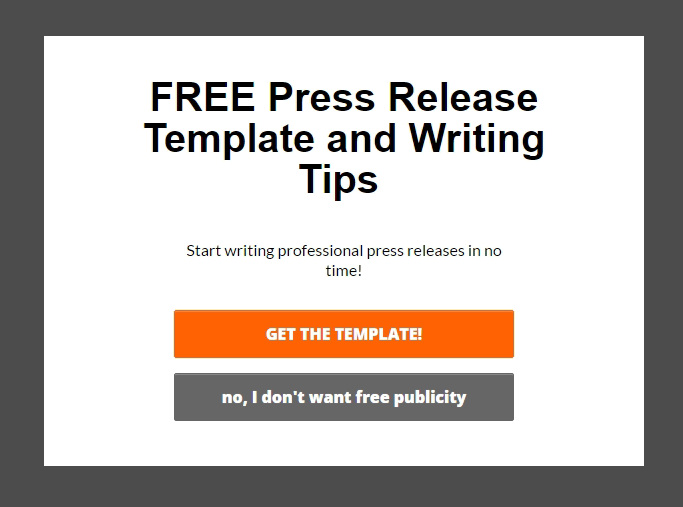 This optin displays only on content related to press releases. It converts at 3.65%. 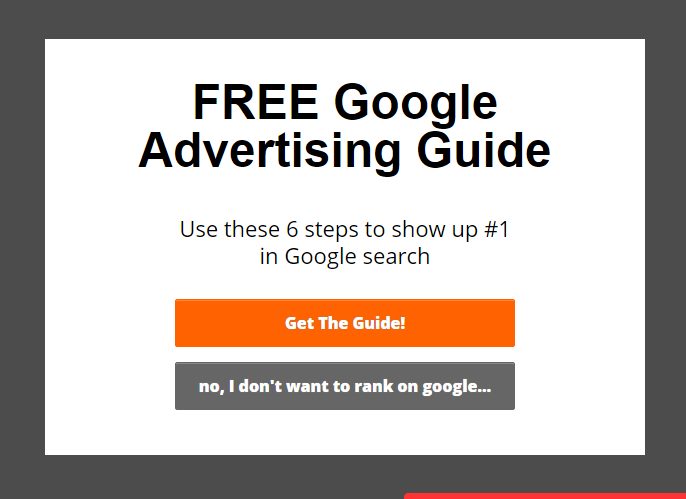 The next one displays only on articles about Google Advertising. It converts at a whopping 40.38%! In addition to these lightbox optins, we’d like to suggest David also include the same offers within the content of each article. These are called Content Upgrades and are easy to create using our MonsterLinks feature. Need ideas for content upgrades on your own site? Here are 30 Content Upgrade Ideas To Grow your Email List. From start to finish, the user’s experience at FitSmallBusiness.com is customized to their interests. The pop-up copy, the lead magnet itself, and the follow-up drip email campaign are all customized to the content the reader was reading when they opted in via OptinMonster. Targeting your offers and follow up campaigns to the specific interests of your subscriber is the most powerful way to attract, retain and convert leads. David also implemented a great system for split-testing. He runs one optin until it receives 10,000 impressions and then split tests a variation. He keeps the winner and cancel the loser. This system for split-testing is wise. Without significant traffic to the page where your optin is located, it is very difficult to create statistically significant split-tests. Using OptinMonster’s split testing, David was able to further increase conversion rates by around 200%. A good conversion rate for the site was around 1% when they started. Now they are converting over 3% after split-testing their top-performing popups! FitSmallBusiness used the page targeting display rule to make offers specific to the content a reader was viewing, and saw increased conversions as a result. Any time you can make an offer more specific to the needs and interests of your reader, it will convert better.